Dylan Chase is a repeat 1st year junior at Suffield Academy, in Suffield CT.
After researching victory gardens and the conservation of foods, I came across a news article from 1917. 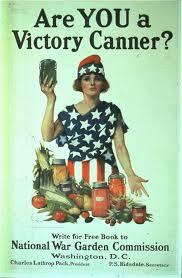 The headline read “WOMEN ENCOURAGED TO HOARD FOOD.” As part of the war effort, the United States began partaking in weekly movements like meatless Mondays, and Wheatless Wednesdays. Life on the home front became more minimalistic, and the preservation of produce and other perishable items turned a full 180 degrees when Americans began to can products. 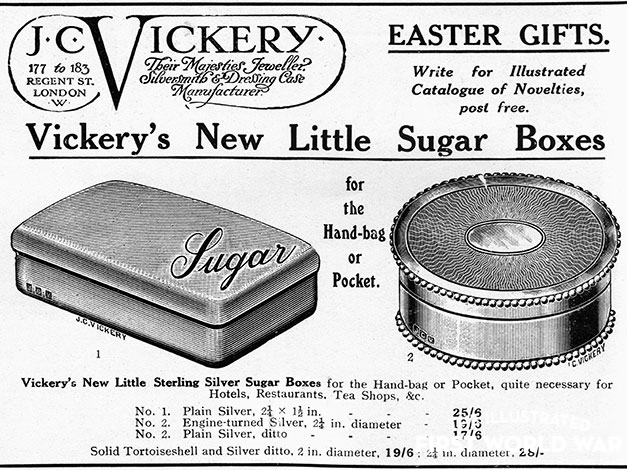 Above, is an advertisement for sugar boxes, designed to fit in a purse or handbag, so that a small amount of sugar could be used at restaurants primary in 1918. For those of whom that knew how to can, they were encouraged to teach others and the idea of preservation went full swing from there. When talking about the war movement and support on the home front, you don’t have to look much further than our own borders in the United States. Relating back to my first hot log, that examined the economical landscape and the change in production, it can be noticed that these two logs are more connected than maybe first expected. However, when thinking about total war support, it really starts with the essentials to life, food. This entry was posted in #SA1833 Second HOT Log, Uncategorized on January 22, 2018 by dylanchase62400. Skills developed as a result of PBL. This entry was posted in Uncategorized on January 16, 2018 by dylanchase62400. One thing that I am particularly interested more about during World War I is how the economic landscape of the country was altered. I am interested in learning more about the dramatic change a country goes through when they are at war. I want to explore how a nation can complet y alter the production of goods and services to be focused on products of war. 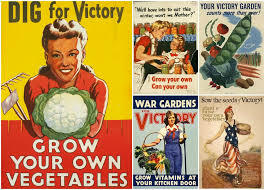 In this light, I want to investigate the rationing movement and victory gardens that came with it. That kind of sacrifice not only lifts spirits on the home front, but it ultimately leads to success on the battlefield. From an economic standpoint, it is extraordinary that war can boost production at the snap of a finger. It has been noticed that the beginning of World War II production is what pulled the United States out of the Great Depression. Some of the country’s toughest years were changed dramatically. My goal in this investigation is to better understand how a country’s economy can be altered so dramatically and so quickly due to wartime. This entry was posted in WWI, First HOT Log December 2017 on January 4, 2018 by dylanchase62400.